Efi Koutsoureli, Director for Communications and Corporate Affairs of Quest Group, is a graduate of the American University Deree College with main studies in Business Administration and Economics and post-graduate qualification in Marketing. She initiated her own business in the field of trade, in parallel, she became interested in the IT sector and with Info-Quest's foundation in 1981, as a partner in the beginning and as Basic Shareholder and Executive Member of the company later on, she played a key role in the development and transformation of the company in the Group. 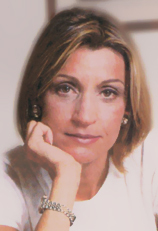 Mrs. Koutsoureli is serving as Board Member in various organizations and charities. © iQbility. All rights reserved.